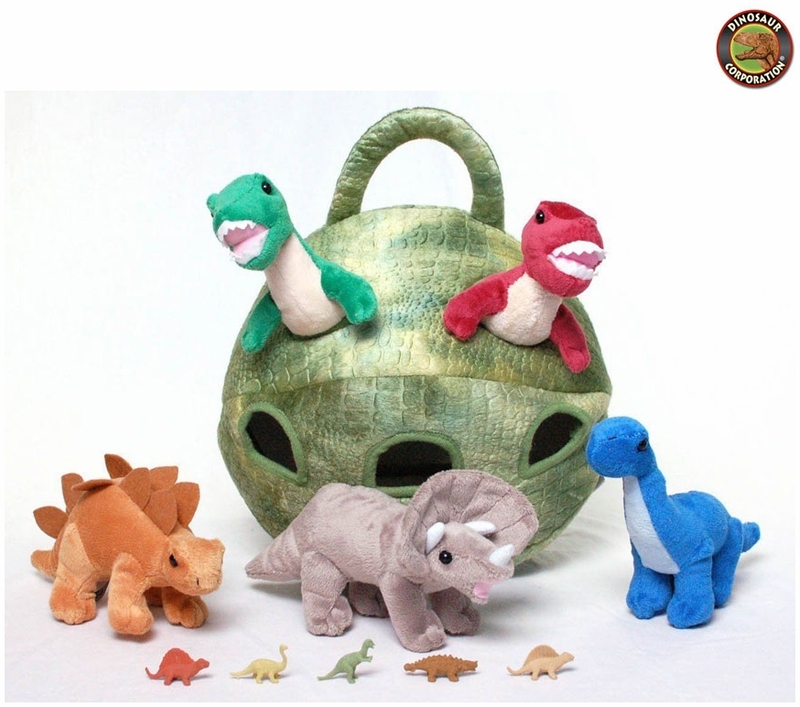 Dinosaur plush soft touch dinos egg house with five holes carrying cuddly dinosaurs T-rex Spinosaurus, Triceratops, Brachiosaurus and Stegosaurus. 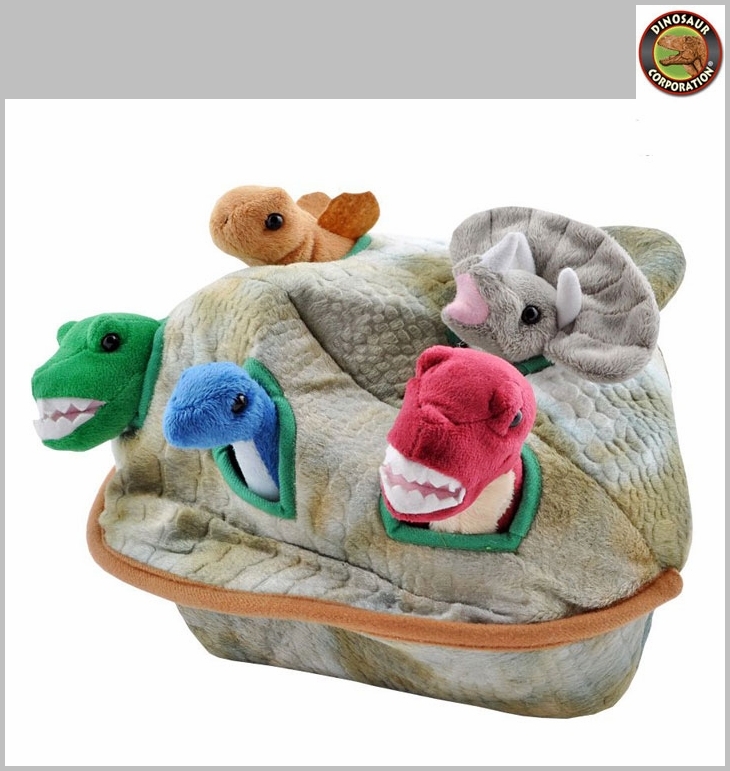 Awesome dinosaurs stuffed plush toys play house complete with handle to carry around. Plush dinosaurs are made with delicate handcraft care. These small dinosaur plush figures are a collection of incredible softness and hug ability.